4 Wheel Parts, the global leader in off-road performance product sales and installation, rolls into Dallas, Texas this weekend for the 12th annual Truck & Jeep Fest. 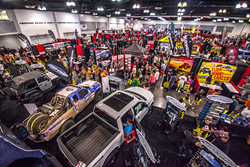 The public will enjoy exclusive show pricing, hourly giveaways and installation discounts as the nation’s largest touring off-road show visits the Dallas Market Hall May 14-15. The Dallas Truck & Jeep Fest has become a highlight of the annual off-road event calendar for enthusiasts throughout the area. 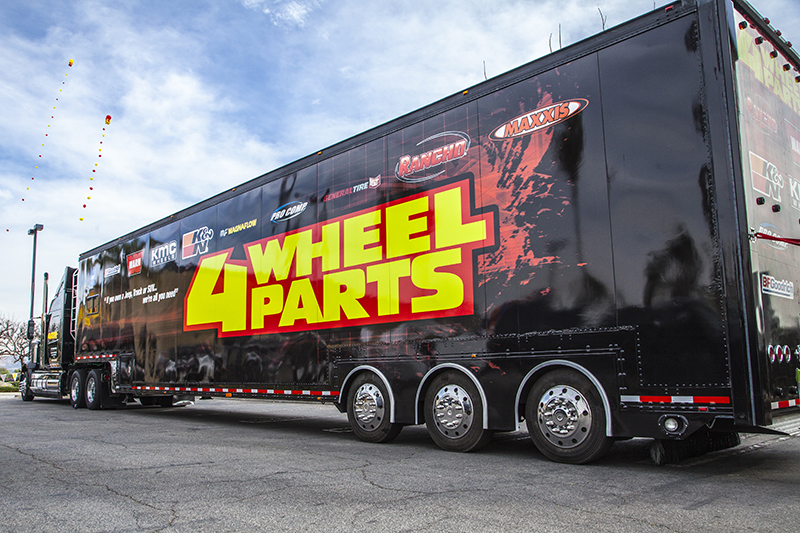 4 Wheel Parts, the global leader in off-road performance product sales and installation, rolls into Dallas, Texas this weekend for the 12th annual Truck & Jeep Fest. 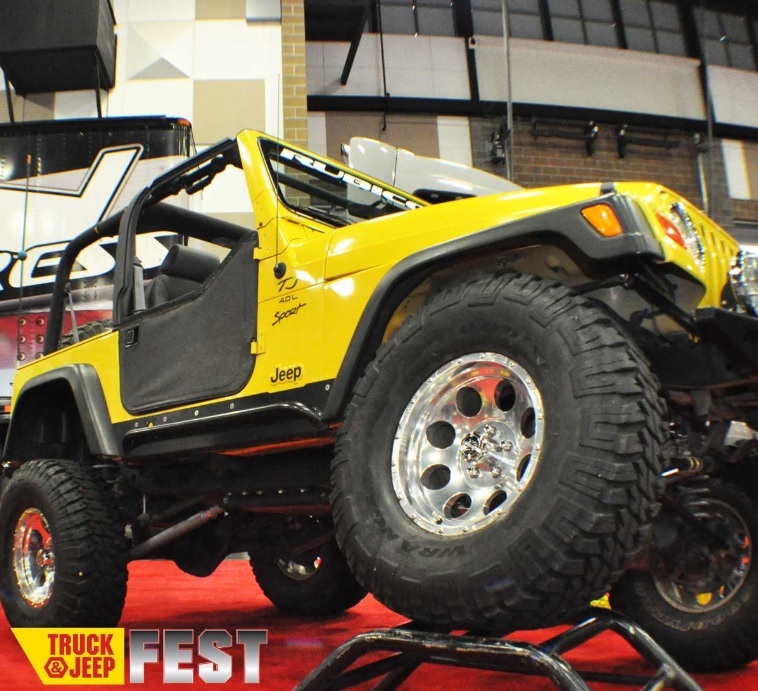 The public will enjoy exclusive show pricing, hourly giveaways and installation discounts as the nation’s largest touring off-road show visits the Dallas Market Hall May 14-15. Admission is free and the fest will showcase popular vendors and manufacturers in the aftermarket parts industry with up to $500,000 of on-site inventory. The Dallas Market Hall is located in the heart of downtown Dallas off of I35E, the Stemmons Freeway, approximately 20 minutes North of the Dallas/Fort Worth International Airport. This state-of-the-art facility will house over 400 booth spaces and numerous areas featuring custom display trucks and Jeeps. 4 Wheel Parts has 4 retail stores in the nearby area including locations in Dallas, Coppell, Plano and Fort Worth. Dallas is the fifth stop of the traveling Truck & Jeep Fests that boast product giveaways, discounts on installation, one of a kind product demonstrations and a scratch and dent section. This year’s tour will also include visits to the cities of Ontario, California; Denver, Colorado and Orlando, Florida with an added show in Columbiana, Ohio. Cities that have staged fests this year are San Mateo, California and Honolulu, Hawaii, Puyallup, Washington and Edmonton, Canada. About 4 Wheel Parts 4 Wheel Parts is the global leader in truck, Jeep, SUV and off-road performance products. With 74 locations across the U.S. and Canada and growing, 4 Wheel Parts Service Centers install all the products they sell. Maintaining the nation’s largest inventory of off-road tires, Mickey Thompson wheels, lift kits and accessories, 4 Wheel Parts serves customers across the country and around the globe. Life is Better Off-Road™. Visit them at 4wheelparts.com or call toll-free 877-474-4821. When: Saturday, May 14, 2016 10 a.m. - 4 p.m.
Sunday, May 15, 2016 11 a.m. - 4 p.m.